Caves are a valuable resource, and can even have financial opportunities such as grants, conservation easements, and tax write-offs. However, caves can also be a potential liability. We can help you navigate the complicated legal and financial landscape of cave ownership. We are interested in acquiring property that contains caves or karst resources. If your land has a cave, contact us for an assessment of your karst resrouces. Your cave is a valuable resource. We can help you control access, gate entrances, map the cave, perform biological assessments, and more. Our preserves offer excellent educational and research opportunities. We work closely with schools, youth groups, professional rescue personnel, and scientists to educate, train, and study in a unique environment. Our preserves are excellent resources for your conservation research, such as geologic and hydrogeologic projects, endangered species counts, and environmental monitoring. Schools, scouts, youth groups, rescue teams, and other organizations are frequent guests at our preserves where we teach them about cave conservation, biology, safety, and more. If your property contains a cave, we would be interested in discussing management or acquisition options to protect your cave resource. We can also perform an assessment of your land to determine exactly what karst resources you have, including a thorough exploration of your cave to determine its size and features. Additionally, you could consider donating the land to the TCMA. We are a federally recognized 501(c)(3) nonprofit, so your donation could provide a potentially large tax write-off. If you interested in keeping your property, read the Cave Management section below for how we can we can help you develop a management plan. A conservation easement is an agreement between a landowner and an organization like TCMA that limits uses of the land in order to protect its conservation values. Landowners retain many of their rights, including the right to own and use the land, sell it, and pass it on to their heirs. In addition, donating a conservation easement to a nonprofit like TCMA can provide a substantial tax benefit. For more information on conservation easements, see Land Trust Alliance’s Questions and Benefits for Landowners. Many of our caves are in densely-populated residential areas and require the most secure gates possible while still allowing air and nutrient flow, which is vital to the health of the cave environment. We can help design and build a secure yet environmentally-friendly gate. We can also serve as a single point of contact for your cave, and ensure that anyone who wishes to enter your cave is outfitted with the proper equipment and has an experienced leader. We can help you discover the extent of your cave through exploring, surveying, and mapping your cave. We perform a systematic and thorough examination of every possible passage. These maps can be vital for locating untapped resources, such underground water sources. Your cave and karst environment could be an untapped financial resource. Developers could pay you to reserve your land for conservation banking or you might be eligible for grants to protect your cave environment. We have experience in these options and can help you make the most of your cave and karst property. TCMA has a long history of cave and karst research, including the longest-running karst species monitoring in the United States, which has been actively running since 1993. If you need a location for your karst research project, we can help. Our preserves are located across Texas from remote regions to metropolitan areas and aquifer recharge zones. Many have unique features or species found nowhere else. Schools, scouts, youth groups, and other educational organizations are frequent guests at our preserves. We give them a hands-on experience where we teach them about cave and karst conservation, how caves form, their relation to aquifers, and more. 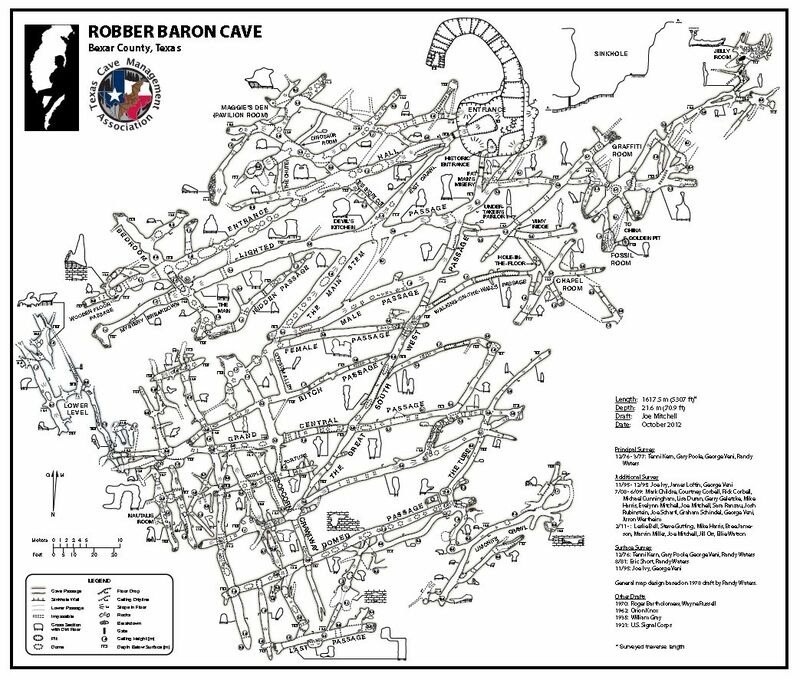 In San Antonio, Robber Baron Cave hosts an annual field trip for several classes from Robert E. Lee High School. In Austin, Lost Oasis Cave is regularly visited by schools such as Gordon A. Bailey Middle School and Ann Richards School for Young Women. Our Preserves have served as rescue training sites for numerous organizations, such as San Antonio Fire Department, Austin Fire Department, and National Cave Rescue Commission. This training provides valuable real-world experience for confined-space rescues. Caves are a unique environment that requires special equipment and preparation. Even communication between rescue parties and the surface becomes a challenge. Our preserves can provide ideal training environments to help prepare and train rescue personnel.